In similar fashion to yesterday, day six hardly lent itself to highlighting a standout performer with the subsequent stalemate between Cape Verde and DR Congo being quickly forgotten – although the charismatic Robert Kidiaba’s was worthy of special praise for a trio of saves late on that preserved the Leopards share of the spoils. In the earlier game a fixture that warranted so much more for Zambia merely left them with a sour taste, as an opportunistic Tunisia came from behind to steal victory against a wasteful Chipolopolo. Spark was again in short supply, however Zambia skipper Rainford Kalaba was an electric presence throughout their ultimately futile assault for victory over the Carthage Eagles. Regularly driving at the Tunisian defence, the 28-year-old represented the orchestrator of a vibrant Zambian attack which was in stark contrast to the sluggish outfit that scrambled to a draw against DR Congo on Sunday. Frustratingly, that new found invention could not be transformed into pivotal end product. The goal they did score was undeniably composed from Kalaba’s wand, with the TP Mazembe midfielder delightfully finding the space to produce a perfect cross from which Emmanuel Mayuka would slam home. 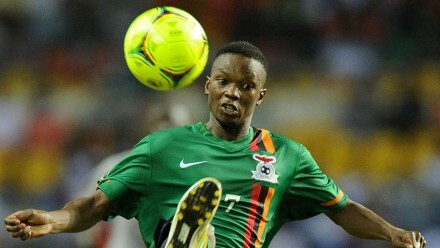 Unfortunately for Kalaba and Zambia, Mayuka wasn’t quite so composed just minutes later when he failed to convert following Kalaba’s charging run and vicious low cross, denying the Chipolopolo a potentially concrete 2-0 lead in the process. The standstill for Cape Verde and DR Congo means that Kalaba and his team’s story could yet yield a happy conclusion – with victory over the Blue Sharks likely to see Chipolopolo steal in on the home stretch. If that dream scenario is to become a reality then Kalaba must once more act as Zambia’s catalyst.